This graphic depicts sea surface temperatures on Aug. 24, 2015. Evidence is mounting that the El Niño ocean-warming phenomenon in the Pacific will spawn a rainy winter in California, potentially easing the state's punishing drought but also bringing the risk of chaotic storms like those that battered the region in the late 1990s. In the clearest warning yet that Southern California could be due for a deluge, meteorologists said in a report last week that the already strong El Niño has a 95 percent chance of lasting through the winter before weakening in the spring. 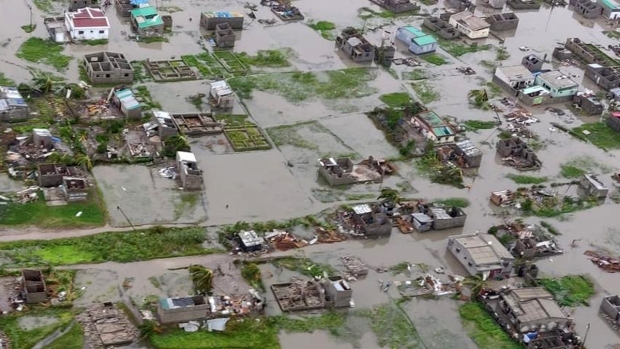 "This is as close as you're going to get to a sure thing," said Bill Patzert, a climatologist at NASA's Jet Propulsion Laboratory, calling this El Niño "too big to fail." "In the abstract," he said, "El Nino seems like our savior." But if floods and mudslides develop, it's "not going to look like the great wet hope charging across the landscape on a white horse." A strong Niño arrives about once every 20 years. Ocean temperatures show this one to be the second-strongest since such record keeping began in 1950, said Eric Boldt, a meteorologist with the National Weather Service. That would make it weaker than the El Niño of 1997-98 but stronger than the El Niño of 1982-83. Storms blamed on El Niño in 1997-98 killed at least 17 people, wiped out strawberry and artichoke crops, pushed houses off hillside foundations and washed out highways. Damage was estimated at more than $500 million. 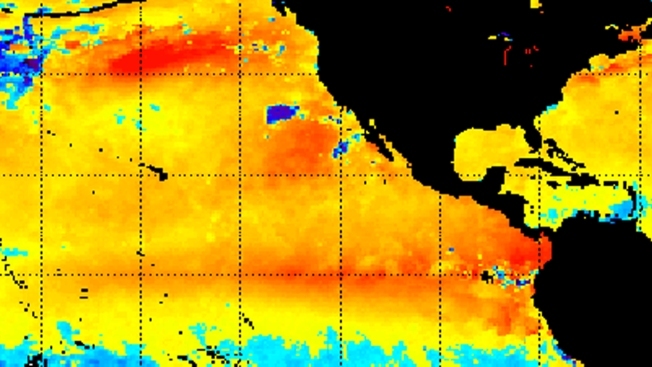 The NASA lab has been observing El Niño and other ocean trends for decades. In 1992, JPL, in collaboration with France, launched the first in a series of satellites capable of observing the phenomena on a global basis. Still, El Niños can be unpredictable. Some have produced little rain, and some of the most damaging storms have come in non-El Niño years. In the last 65 years, there have been just six strong El Niños and only two produced major precipitation statewide, according to the California Department of Water Resources. From the San Francisco Bay Area to Sequoia National Park, there's a 50 percent chance of above-average rainfall. From Eureka to north of Reno, Nevada, that estimate drops to 33 percent. It's likely to be drier in the Pacific Northwest and the northern Rocky Mountains. California public agencies have been warned to prepare for large storms. Boldt said he can't count all the meetings he's been to with emergency managers and local officials. "That's been pushed hard, and people understand this is going to potentially be a bad winter for water issues," he said. State officials are watching weather models and updating emergency plans, said Kelly Huston, deputy director with the Governor's Office of Emergency Services. "We worry that people won't take it seriously because they're so desperate for water," Huston said. "If it downpours heavily over a short period of time, it's going to be dangerous, not just a welcome relief they perceive to be helping the drought." The risk of rain is heightened in some areas by recent wildfires that have stripped away the trees and other vegetation that protect steep slopes from erosion. Work is already being done to prevent debris flows in Northern California's Lake and Amador counties. Heavy rain will bring some drought relief, but it is not expected to erase the state's water deficit, particularly if it doesn't rain or snow as much in Northern California, home to the state's largest reservoirs. The Sierra Nevada snowpack is normally the backbone of the state's water supply. There's also the chance that El Niño will be followed by its sister, La Nina, a different phenomenon that generally brings cooler temperatures in the Pacific and a drier winter. El Niño can affect weather well beyond the West Coast. The outlook for winter generally favors below-average temperatures and above-median precipitation across the southern U.S. and above-average temperatures and below-median precipitation over the northern U.S., according to the report. Federal climate and weather experts plan to issue an updated three-month seasonal outlook later this week.